This is the second entry in a new series here at the Windshield (click here for Part One). Ever seen hypocrisy from leaders in the church? Ever felt uneasy about a ministry named after a minister? 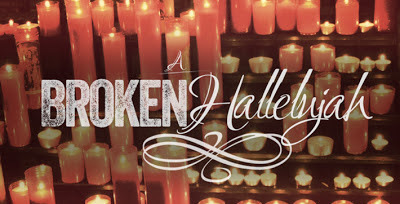 Ever gotten frustrated, broken-hearted or angry at church? This is for you. Me. Us. But instead of just complaining about it, we're going to call PULPIT! on these shenanigans and start to do something about it. The first step? We need to talk about it. Ergo, where this series comes from. This series is also to celebrate the release of FINDING CHURCH from Civitas Press, which - yeah - I was a contributing author to. Click on the above link to grab a copy for yourself. And come back later in the coming weeks, because I'll be giving away a copy of the book. Or two. Back in the mid to late 1990s, there was a huge boom - and subsequent bust - in collectibles that had mostly always been a fringe or niche industry. Someone, somewhere, got the BRILLIANT idea that marketing items which numbered in the hundreds of thousands as "Limited Edition" would drive up the price and demand of them, and as such, make them more desirable. Comic books. Baseball cards. Trading cards. Gone were the days of hearing about someone buying a paper grocery bag of old comics at a garage sale only to find a pristine copy of BATMAN #8 from 1941 in it. We wanted the foil-enhanced, prismatic, die-cut cover that would pay for putting our kids through college NOW. This glut in the market continued to grow and grow until Pogs hit. The same people who had been buying case after case of brand new comics or cards, keeping them MINT! so as to retain their value, suddenly realized that the retailers who were profiting from their attempt to get rich quick were now trying to sell them collectible milk tops. Cardboard circles that were initially included under the lid of glass bottles. And suddenly, collectors realized the emperor had no clothes. People began to question exactly what it was as well as the why of what they had been buying into. The immediate drop off of purchases began to affect speciality stores to the post where numerous shops closed. The baseball card market is essentially dead today. Comic book shops are hemorrhaging readers on a weekly basis. Industries which had once been stables in the American culture for nearly a century are on the brink of extinction. Clearly, this does not parallel many churches today. At all. There are a number of churches that rely heavy on flash and hype to bring in people to them, whether it's a giveaway, stirring up controversy from the pulpit, or something equally as ludicrous. A pastor I know once actually considered putting an inflatable pool in the sanctuary, and at the start of the service, running from the back of the room in order to leap into the pool to illustrate making a BIG SPLASH for Jesus in the community. 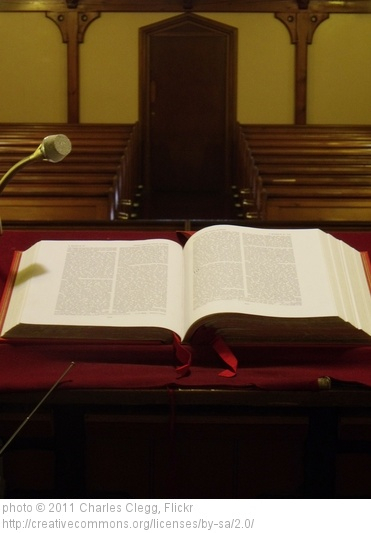 Other churches go to the other extreme and shy away from sermons which have any substantive content to them, sticking to messages that are more "attractive," or make us "feel better" instead of challenge us. We are too busy offering milk (caps) and not meat. Please bear in mind that while some might jump on this particular negative bandwagon, I am NOT attempting a critique or condemnation of the Emergent/Emerging movement as a whole. There are a number of "Contemporary" churches that are doing outstanding work and have amazing, Godly women and men leading them. These bodies do a phenomenal job in reaching out to those of us who have been burned, beaten, and belittled by the institutionalized church. Also, I am not advocating a return to the hellfire & brimstone style of evangelism. Fear and guilt might make for good motivators to get people to respond to giving tithes, but they make for lousy ways to heal a broken, seeking heart. If we look at the gospel itself, like - you know - we're supposed to, the message and the manner in which Christ spread it runs counter to the way many people speak about it today. The message itself is simple: love God, love others. Not just in word but in deed. Because let's be honest: if Christ had shown up today, I doubt He'd have a high Klout score or have gotten a lot of "Likes" for a Sermon on the Mount Facebook page. A simple message of love doesn't carry as much weight or seem as important as the latest five-point lesson on parenting. A former professor of mine once remarked that the key to engaging students in a learning environment was to give them an equal balance of challenge and support. Too much challenge, and they might withdraw and close themselves off. Too much support, and they might attain a hyperactive sense of entitlement. I think we need to adapt this to churches. I love that many of my contemporaries who are now in leadership positions in church look at ways to enhance their messages through the use of object lessons or illustrations as an enhancement instead of the fulcrum upon which their entire message balances. But sadly, a disproportionate number still don't quite get what JD Salinger spoke about through the person of Holden Caufield in THE CATCHER IN THE RYE: people can smell a phony a mile away, be it a phony person or a phony message. In what ways do you think the church might need to be bolder? 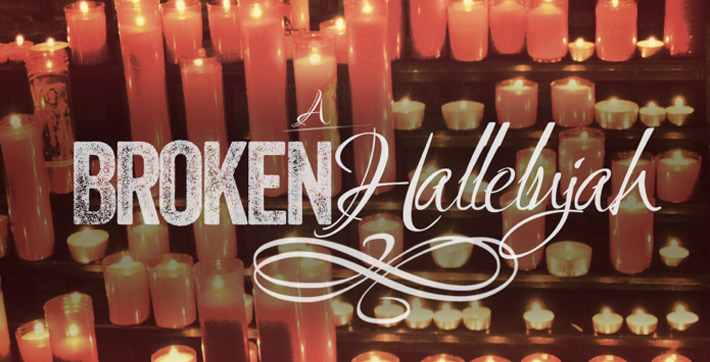 For one day this December, we long to open the gates wide to brokenness. To allow women and men of all ages to share their stories of hardship and redemption. Perhaps it’s a journey through abuse, or bullying, or maybe it’s drugs or alcohol or depression or homelessness or cutting or an eating disorder, but whatever it is, we want to put our arms around it and embrace it, and then let it go. It’s only in dialoguing with one another that we can find hope, and freedom. We don’t want to just dwell on the pain; we want to shine a light on the God in the story, on the redemption in it all. It was the waking up in my kitchen in a pool of blood that came out of my nose after having blacked out that made me think, "You know, maybe these migraines might be a little bit more than just average." For as long as I can recall, I've had headaches. Bad ones. The kind where you sit in a darkened room and just try to will your body to relax and pass out so you don't have to be awake for the pain you're going through. I dealt with constant headaches throughout middle school, high school, college, graduate school...missing the occasional class or even days of school, not because I was skipping out to do something fun, but because I was miserable. As my age increased, so did the intensity with which these headaches occurred. They didn't come with great frequency, but when they hit, they hit hard. Even the mildest of things could trigger them: light, sound, touch, and so on. Yet because my mom (who, spoiler alert, is not a physician) called them "migraines," I self-medicated for decades with over the counter pain killers. It wasn't until one afternoon about ten years ago the scenario referenced above hit that I thought perhaps I should seek out some, you know, professional advice. After seeing a physician who then referred me to a neurologist, and after a battery of MRI scans, one day I was finally given the name of what had been knocking me for a loop for years: atypical trigeminal neuralgia (ATN). (As a side note, I did take a slight ironic pleasure in noting that my diagnosis was for the "atypical" variety, given the location of the pain origin, my age, and gender. I loved the fact that I couldn't even get a neurological disorder right.) My neurologist suggested that I undergo a series of occipital nerve blocks to reduce or eliminate the pain. I was more than happy to accommodate this idea, because hey, anything beat the alternative, right? Upon reading the materials provided to me, I noticed some of the side effects of the nerve blocks: tenderness in the area of the injections I could deal with; a sense of disorientation and loopiness I could deal with; the potential for a shift in my personality, including possible damage to my memories? Whoa. This is the point where God and I started having words. Angry words. During this season in my life, I was estranged from my family and had been so for years. Every romantic relationship I had ever had ended with Hindenburg-like results. My closest friends were all gone, having moved out of state after graduate school. I was even at "that point" in my faith journey where I was doubting, wrestling with, and openly debating my beliefs. It felt as if the only original part of my heart or life left was my personality: my humor, my sarcasm, my intellect and my wit. I argued with God that since I had already lost so much in my life by this point, it was absolutely unfair and unjust to ask for the last remaining vestige of the me of who I am to be sacrificed so much like Isaac upon the altar of my health. I wish I could say that the fear of losing myself drove me back into the arms of God, that I was miraculously healed, and that life was full of puppies, happy moments, and cupcakes from that moment on. The reality is that I underwent a series of injections into the base of my skull that probably made me behave in an even weirder fashion than usual. A beautiful, amazing friend flew in to stay with me during my initial treatments so that I wouldn't have to go through it all alone (and to this day, she still doesn't realize what that gesture meant and that I owe her more than she realizes). And I was still pissed off at God for allowing this to happen. But although neither my health nor my faith were restored in a miraculous fashion, one thing was restored: a line of communication. Dialogue. Between me and my earthy family as well as my heavenly Father. When you stare down your own mortality as well as the fear of possibly losing yourself, you ego and sense of haughty self-importance begins to shrink. Some of the words were snippy, some were beautiful, but they were words spoken and not held captive on my tongue. And more than that, I felt as if they were received. Even the snippy ones. Which, you know, I had to ask forgiveness for. It turns out that all I needed (knock on wood) was that one year of treatments, as I've not had to have any since then. I still have to monitor my health, and I still get headaches, but nothing like what they have been. And it turns out that - like Abram before me - all I needed was to have the faith to be willing to make the sacrifice of changing my personality and not actually go through with plunging the knife. And to everyone who has met me since 2002: yes. This really is what I am like, and is the me I've been for most of my life. My personality didn't shift. I've always been this odd. Fittingly, I've been listening to Jeff Buckley as I write about this Broken Hallelujah. He so eloquently called it "the minor fall and the major lift." Fittingly, I fell on my knees. And eventually, I was lifted and able to sing "Hallelujah" at the end of it all. At Prodigal Magazine, we believe in being real. Today, a number of the writers are hosting a linkup, detailing our journey to faith through the hard times. Our hope is to set the captives free, through dialogue, put our arms around a hurting blogging world, and show them that we care. Check the link to read the others stories in this series. This is the first in a new series here at the Windshield. Ever seen hypocrisy from leaders in the church? Ever felt uneasy about a ministry named after a minister? Ever gotten frustrated, broken-hearted or angry at church? But instead of just complaining about it, we're going to call PULPIT! on these shenanigans and start to do something about it. The first step? We need to talk about it. Ergo, where this series comes from. 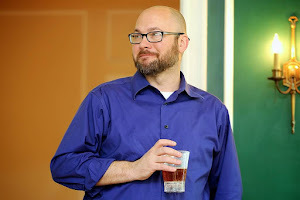 I recently concluded a ten-plus-month stint as the Interim Minister of Students at a local church here in South Carolina. Despite having served for years at another church in a volunteer capacity in Youth and College Ministry and later stepping up as a Guest/Teaching Pastor at two other churches, this was my first - and potentially only - shot at vocational ministry. To be fair, some of my friends may have differing opinions about this being my one-and-only chance; however, as I have written about before, there are a number of reasons why I don't see myself as prototypically designed for vocational ministry (although God may have other plans). Regardless, this particular experience taught me a lot about what I want, and conversely what I DON'T want, out of a church or a position within one. It also sadly reinforced for me a professional behavior pattern which I have seen modeled from some of the leaders I have served under. Namely, regardless of which side of the pulpit you stand on, just be honest and be yourself. Admit you don't know everything and you aren't an expert in every area. When one random Wednesday evening before the youth group activities even start, the first question out of a middle high student's mouth is "Do newborn babies possess a sin nature, or are they born innocent in the eyes of God," I knew it was going to be a LONG night. It's humbling, beautiful, and wonderful when people trust in your spiritual maturity enough to guide them, but remember you are JUST a guide. You are to lead them to the Source, and not be the source yourself. You may have studied a lot, and may have a deep theological understanding about a great many things. But sometimes, a question is simply meant to be asked and not immediately answered - especially when what you might stammer out is some kind of half-baked response because you simply didn't want to utter the phrase "I don't know." Ignorance is not a sin; it's an opportunity for you to check your ego at the door (or check it at your diploma). Remember that you still have room to grow and for the Spirit to guide you while you don't lean on your own understanding. Arms are to be raised in worship, not held out as a barrier. It's good to have and maintain healthy, appropriate boundaries between yourself and others, especially if you happen to be married. Conversely, just because you are a leader in or the leader of a church does not mean you are to be BFFs with every person in your congregation and text them back and forth at 2:00 am. There is a balance that can be struck, but sadly, many leaders set themselves apart or above from the ones they lead. Too many times I've seen a pastor deliver a message and then either physically disappear after the service or emotionally disappear while they're out shaking the hands of people as they leave church. Christ loves His bride, and I truly doubt that He would ever duck out of or be spiritually distant in His receiving line. Sundays are meant to be celebrations, not obligations. Stop using the pulpit as a shield. Additionally, if you can't or are unwilling to take your relationships past surface-level deep with the people who serve on staff with you, you may need to re-evaluate some of your leadership tactics. Again, no one is asking you to be bosom companions with everyone, but the people who see you the most outside of your family should not be the people whom you stay the furthest from. God called you, not The Perfect Version of you. I don't know about you, but none of the times that I have served in a church have managed to supplant the me of who I am before I took on a leadership role. I found it humorous that by filling out an I-9 form I was somehow immediately transformed from "Sonny" to "Pastor," when nothing in me had changed. I still watched (and mildly obsessed) over DOCTOR WHO. I still ingested coffee by the gallon. I still (occasionally) acted like a big goof. I still was sarcastic in my humor. I still got angry. I still had bad days. There were days when I doubted myself, God, and what I was doing. And although I was in a paid position on a church staff, I somehow even managed to continue to sin. While I don't think I ever explicitly called attention to any of my failings ("Hey, guys, you will never guess what I was sexually lusting over today! "), I also never tried to hide it when I was having a bad day, when I wasn't feeling myself, and when I was struggling. I was still the same person in my eyes; only now, other eyes saw me differently. And I did what I could to try and honor the eyes and hearts of those who looked up to me all the while remaining honest with the me that I knew me to be. As leaders, we are called to lead by example, and if we set ourselves up as never having problems, we set an impossibly high bar for others. Too many people already exist under the church-imposed yoke of struggling to "be like Jesus," while the ones who are telling them to live that way don't struggle with pride or judgment; they relish in it. Just as with relational boundaries, there are things we can and should appropriately share about our spiritual struggles with one other. Maturity, wisdom, and discernment can guide us in illustrating how we have not lost the need for Christ to wash our feet again and again. To Thine Own Self And All That Jazz. God made me the way I am. He gave me the talents and personality I have. And it was those gifts, as well as the reflection of Christ living in me, that someone in these churches thought worth having around. Who am I to be any less than who I am? Who am I to dishonor God by not being the me He made me to be? What have been your experiences with honesty in the church? Have your leaders acted as the first among equals?